Blizzard on Jura – Quick Video! 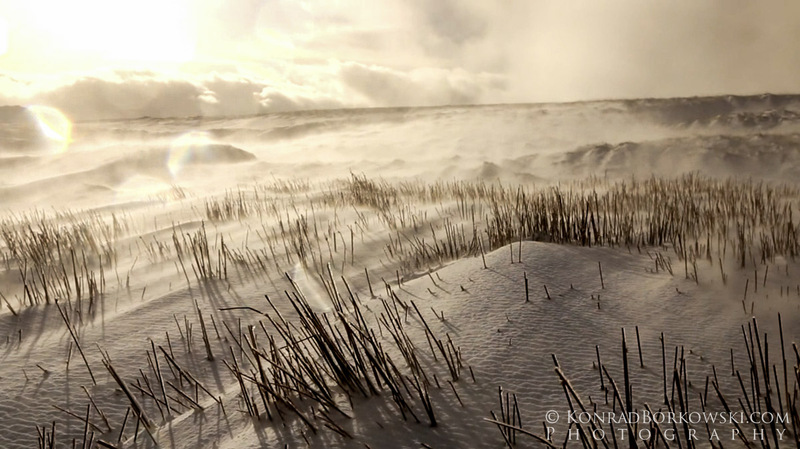 Snow Blizzard on Jura, Video! You would be right, most of the time, thinking that we hardly ever get snow on Jura and that the temperatures here almost always stay above zero. Yes, most of the time, but then there are days when the cold winter air at higher altitudes changes rain into snow and brings it to the island by the perpetually blowing westerly wind. The northerly wind can often follow bringing clear air and sub zero temperatures freezing the lochs and and conserving the snow on the hills. The face of the island then changes beyond recognition. You feel as if you were somewhere else, in mini Switzerland, or in the Arctic, perhaps. That feeling can often intensify by strong winds that can blow viciously at higher altitudes even a couple hundred meters above Craighouse. And if you are deeper inland or on the ridge finding your way back when the visibility drops can be a bit of a challenge. But on a cold, clear and sunny day nothing beats the snow covered Paps, the frozen Loch an t-Siob and the dark brown silhouettes of the stags trotting through the snow. At times like these, there’s no other place I’d rather be. Blizzard on the way to Dubh Bheinn (13.01.15) – Quick VIDEO! Video | This entry was posted in Islay and Jura Prints. Bookmark the permalink.